As spring arrived inauspiciously last month and the snow retreated, TerraTrike shifted its operations into high gear, serving baby boomers who want to keep active through bicycling without pulling out the Bengay after every workout. 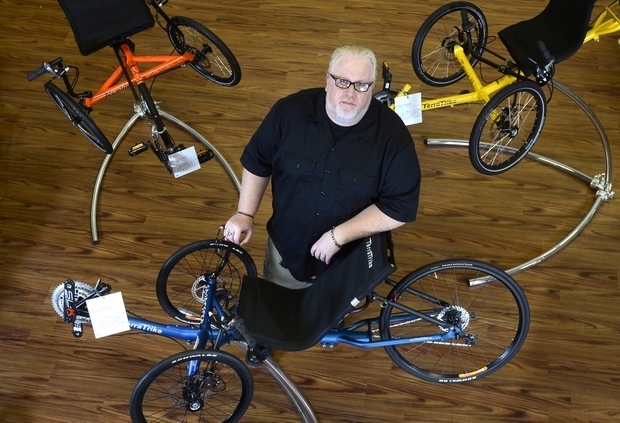 TerraTrike and its parent corporation,WizWheelz Inc., which bills itself as the largest U.S. manufacturer of recumbent trikes for adults, stacked kits of three-wheeled bikes to the rafters of its warehouse and showroom in the Grand Rapids suburb of Kentwood, with the express purpose of leaving nothing on the table this year in sales. "We've ordered extra stock this year because we've always run out during our busy season," said Jeff Yonker, WizWheelz marketing director. The company also has four semis full of TerraTrike kits on its property as temporary storage, he said.